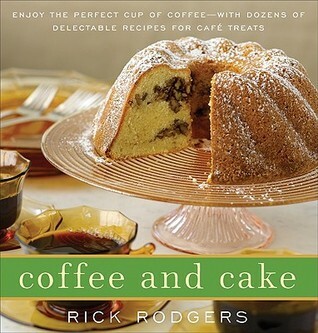 Rick Rodgers is an expert at writing really good cookbooks! And this one is exactly what I was looking for. Focusing not only on the cake, but on making the perfect cup of coffee, no matter what type of machine you choose to use. I prefer the French Press. It’s always reliable and gives me a smooth cup. He takes us through all of the different brewing methods and shares some excellent coffee drinks with us so by the time the cake portion comes around, you are ready with your cup of choice. The cakes are the good old-fashioned kind our grandmothers made. Plus some European treats and two of my all time favorites, Sticky Toffee Pudding and Apple-Cranberry Ginger Loaf. Oh my goodness were those good. I plan on working my way through the entire book and pairing them with the appropriate coffee. Or tea. If you know me you’ll know it’s probably tea. I can say honestly I love this little book!